Widely considered one of the greatest and most influential singers of all time, Patsy Cline, in her brief but extraordinary career, made a colossal impact on country and pop music. Born Virginia Patterson Hensley in Winchester, VA, Cline was a trailblazer who defined modern country music, and broke down barriers of gender, class and genre. In her music and her life, she set a standard of authenticity towards which artists still strive. After years of hard work to overcome industry biases and her own personal hardships, she achieved enormous success, only to have it punctured by uncanny premonitions and her untimely death at age 30 in 1963. 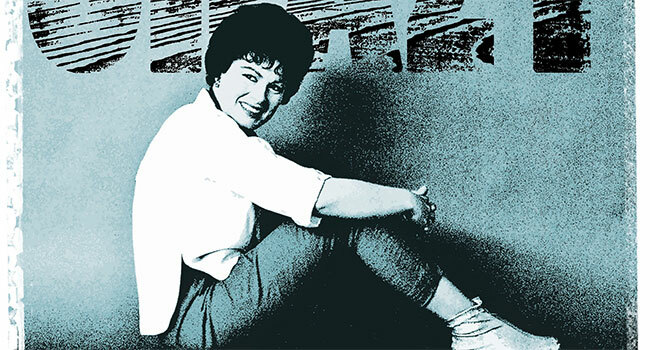 Today (Fri, Sept 8th), on what would have been her 85th birthday, UMe is proud to announce that Cline’s remarkable life and enduring legacy will be honored in When Patsy Cline Was… Crazy, a new DVD, available October 6th, that collects the acclaimed PBS documentary, Patsy Cline: American Masters, and a wealth of exclusive bonus material comprised of themed additional interview footage and rare vintage performances. With exclusive access to the Cline estate, the film, hailed by Yahoo! as “a beautifully assembled salute to one of the most important singers in country-music history” and “a work of fresh scholarship that’s also highly entertaining,” features rare performances of such Cline classics as “Walkin’ After Midnight,” “Three Cigarettes in an Ashtray,” “Come On In,” “I Fall to Pieces,” “Crazy,” “You Made Me Love You” and more, alongside exclusive archival interviews with Cline’s contemporaries, and new interviews with a wide range of artists who have been influenced by Cline: Reba McEntire, Wanda Jackson, LeAnn Rimes, Kacey Musgraves, Beverly D’Angelo, Bill Anderson, Rhiannon Giddens, Callie Khouri, Mickey Guyton, Terri Clark, and more. The bonus material contains nearly an hour of additional interviews as well as Willie Nelson performing his original version of “Crazy” and Clark, unplugged in her living room, playing a verse of “Walkin’ After Midnight.” An accompanying booklet includes classic photos of Cline and an essay by noted author Robert K. Oermann. Narrated by Rosanne Cash and produced by TH Entertainment LLC., When Patsy Cline Was… Crazy examines the roots of Cline’s impact in both personal and cultural terms to illuminate how she arrived at a pivotal moment in the evolution of American culture and, with Decca Records producer Owen Bradley, synthesized country, pop and rock in a new way to create the Nashville Sound. Cline boldly bucked female conventions of the 1950s with her fashion sense, her decision to divorce, her support of fellow female artists, and her assertive ambition to get opportunities equal to those of her male Nashville peers, such as the same kind of headliner billing and radio airplay, particularly after breaking free of her unfavorable contract with Four Star Records. Six years after her national breakthrough on Arthur Godfrey’s Talent Scouts (CBS, 1957), she died in a plane crash returning home from a benefit performance. In 1973, ten years after her death, she became the first female solo artist inducted into the Country Music Hall of Fame. Her many posthumous honors include a Grammy Lifetime Achievement Award and a U.S. postage stamp. She was also portrayed in the Oscar-winning feature film Coal Miner’s Daughter (1980) by D’Angelo and in Sweet Dreams (1985) by Jessica Lange.